Modern sensibilities and needs lead the reasons why you should pay for college yourself. Since 1990, the number of adults returning to college is on par with the number of 18-year-olds entering college. According to the National Center for Education Statistics (NCES), the number of college students over the age of 24 has increased to 8.1 million or 41 percent of the college population. College is an expensive proposition. As noted by NCES, the average annual cost of tuition alone is about $6,600 for public institutions, $31,000 for private nonprofit institutions, and $14,000 at private for-profit institutions. When you add room and board and other education-related costs, the average costs range from about $17,000 to $43,000 each year. When you compare the cost of college versus what that money can buy, it really is a good bargain. And there are some excellent reasons to pay for college yourself. The average cost of college has been rising 6 percent above inflation each year. 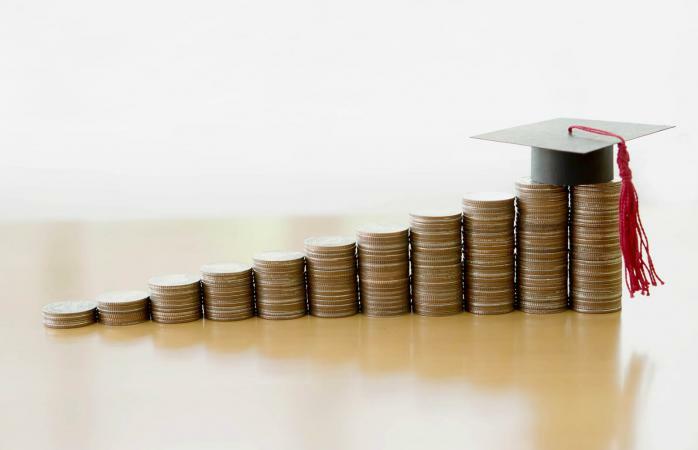 Although the reasons vary, institutions across the country, from Virginia to Nebraska to Memphis, are raising their tuition rates each year. This means tuition will only be higher by the time you get to college. By saving money, working as much as you can in the summers or during school, and obtaining whatever free grants or scholarships you can, it means you'll likely not have to rely as much on expensive interest-accruing student loans. You're already making a savvy financial decision and mastering one of life's most vital skills: smart money management. Continuing on the topic of student loans, the United States has $1.3 trillion in student debt. The total amount in mortgages is higher, but what is truly frightening is the 11 percent delinquency rate of student loans, much higher than the 1.3 percent delinquency rate of mortgages. In addition, students who have loans are less likely to become home owners in the early years of life after college. It's not easy to keep up with student loan payments right out of school when you're trying to handle other bills at the same time. This doesn't necessarily mean you shouldn't get a college loan. When used with prudence, student loans can help you achieve goals that would otherwise be impossible; but avoiding the extra stress of making high student loan payments after college is a great reason to pay for college yourself. Students who want to pay for college themselves often get a job while they're in school. In fact, the average college student works almost three hours a day. You might think that working would hurt academic performance. However, studies have shown that a moderate work schedule (not exceeding 20 hours a week) results in higher GPAs. Although the students in the surveys reported an increase in stress, 74 percent said working made them more efficient in their study habits. In addition, working gives students valuable workforce experience. Depending on your field of study, graduate school can be even more expensive than your four-year undergrad degree. For example, the average cost of getting an MBA (Masters of Business Administration) is about $60,000. If you're dreaming of a career in law or medicine, the cost will be even higher. Regardless of program, if you plan on going to graduate school, you will have a considerably smaller burden if you already paid for your undergraduate degree yourself. When students aren't able to pay for college themselves, they are forced to rely on loans or they need their parents to help pay. 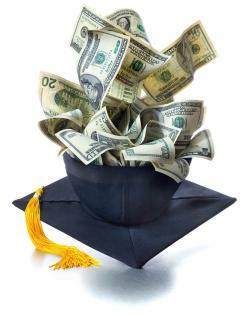 A recent study found that 44 percent of parents are borrowing money to cover the college expenses of their children. Many parents halt their 401k or other retirement plans, which can have negative long-term effects on the whole family. If you pay for college yourself, you're giving your parents a brighter future too. Sometimes it's too easy to take the quick way out and grab an immediate solution to a problem, like taking out a loan or asking family to help. However, students should think twice before they go these routes. It may take extra time and energy, but finding a way to cover college yourself (even if that means going to a cheaper school) has many long term benefits.